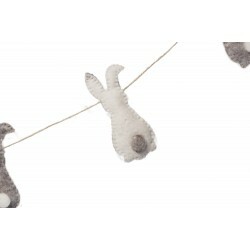 PURE FELT & PERFECT SIZE: Made of 100% genuine felt, this Bunny garland measures 48" inches (Long). BONAFIDE DESIGN & BINARY USES: This gorgeous 100% biodegradable Garlands are made from high quality, durable wool and makes the perfect addition to your home and Easter decor. 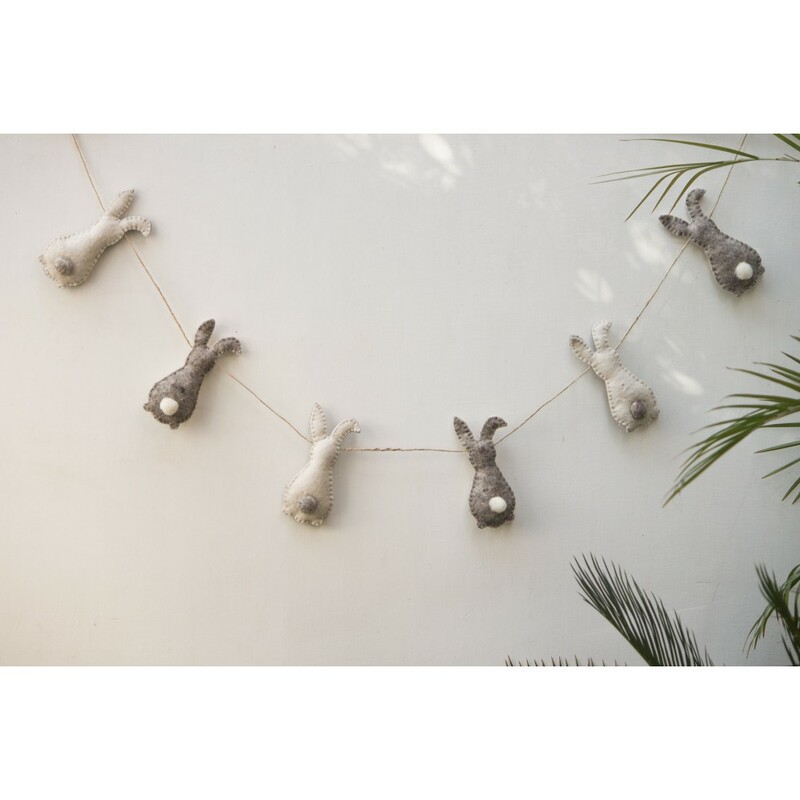 It comes with Bunny all strung together in space of 2 inches across Jute rope. Create a stunning look for you next party or social gathering with party decorations. 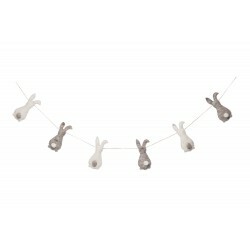 Superbly crafted party decorative, it is perfect for Easter, New Year or any celebration! HANDMADE & ECO-FRIENDLY: This needle felted Bunny garland are environmentally kind. 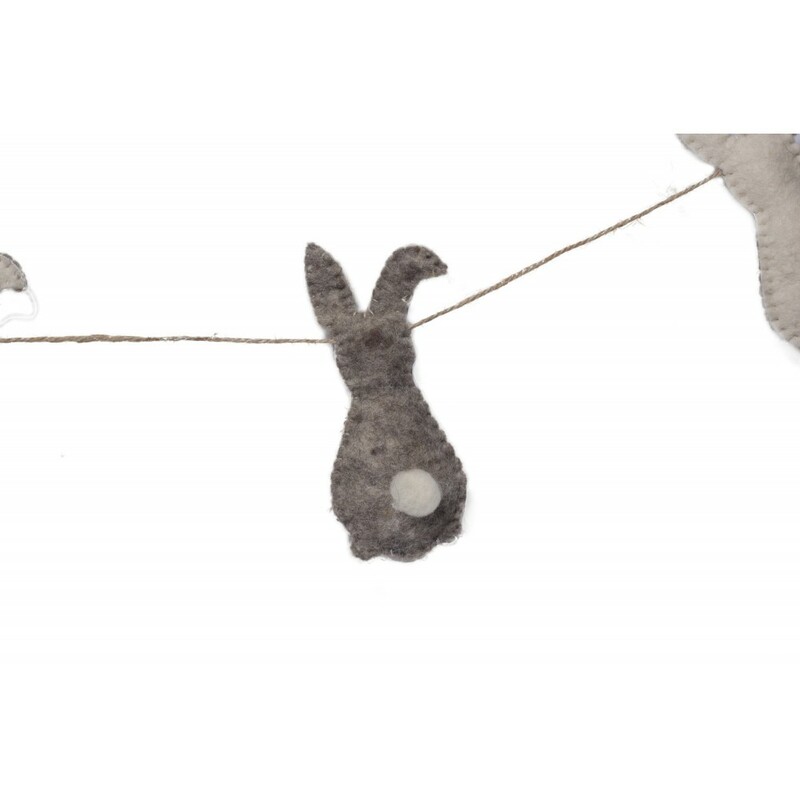 Our other collection in felt work includes little-felt friends in vibrant animal figures such as sheep, horse, goat, reindeer, bunny, sheep egg garlands, bunny garlands and many more. SOCIAL BUSINESS & NOBLE STORY: This product supports and empowers underprivileged rural women of Rajasthan, India. 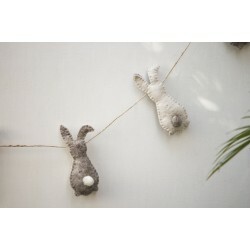 It preserves the rare craft of needle felting in India. Felt, or Namda, as it is locally called is said to have migrated to India from Iran and Turkey. This Namda cluster which makes this product in Rajasthan was once ruled by the 'Pathans' of Afghanistan. This cluster employs about 500 Pinjare artisans, an Indian-Persian Muslim community. ASSURANCE, AUTHENTICITY & SAFETY: Quality satisfaction and timely delivery are assured. To be sure of authenticity, we recommend you to buy this product from De Kulture Works brand only. Copyright © 2018 De Kulture Works. All Rights Reserved.